With a team of professionals from the world of contemporary art based in Paris, Beijing and Canton. AVM offers artists the opportunity to create exhibitions for them on the most relevant occasions. In 2018, AVM decided to participate at the YIA Art Fair with a selection of exceptional works from top-tier international artists. Here is the first glance of these amazing pieces. 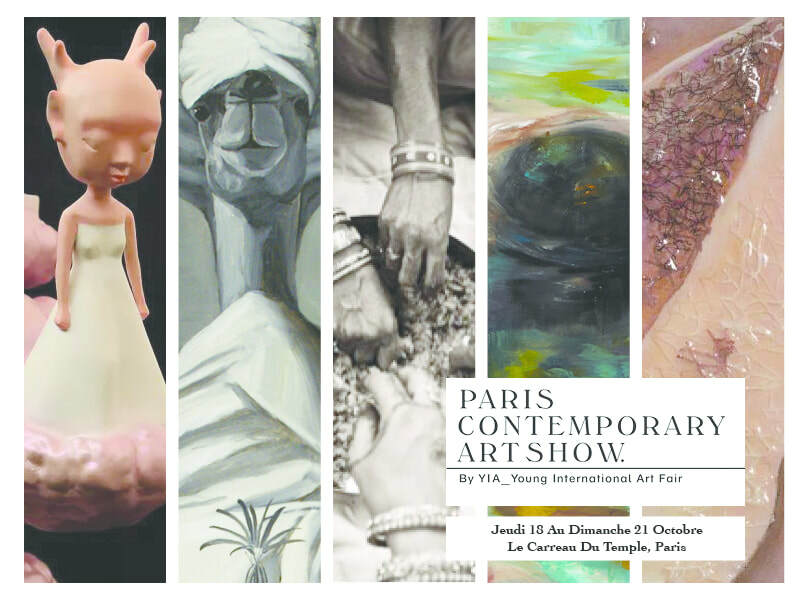 ​P / CAS – The Paris contemporary art show by YIA ART FAIR is the main fair of modern and contemporary art in France, held in Paris during the FIAC. Since its creation in 2010, it helps promote and disseminate contemporary art mainly from the emerging scene, with a selection of modern and historical artists. Nearly 65 galleries from around the world participate each year in the show. Each year, the show exhibits for 4 days a selection of 65 galleries and welcomes more than 18,000 visitors (collectors, institutions, journalists, artists, professionals and art lovers). Theshow unfolds in the 2 000 m² exhibition space of the main nave of the Carreau du Temple which is as significant as the historical monument Le Grand Palais in Paris. This year again, it brings together a selection of galleries from 16 countries (Argentina, Belgium, Canada, China, Estonia, France, Germany, Italy, Japan, the Netherlands, Spain, Slovakia, Switzerland, Taiwan, United Arab Emirates, United-States).